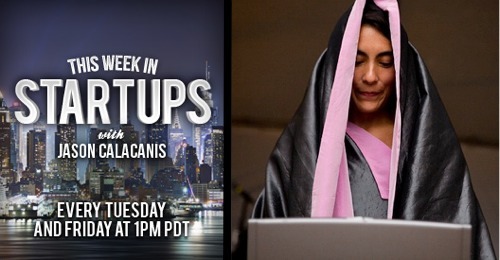 Today on This Week in Startups, Host Jason Calacanis sat down with Waze's VP Community Geographer Di-Ann Eisnor at the company's headquarters in Palo Alto at 1pm PT. Di-Ann is a neogeography pioneer and serial entrepreneur. Before joining real-time traffic navigating app Waze in 2010, Di-Ann co-founded community mapping service Platial in 2004. With 8M+ registered users on its crowdsourced traffic app, Waze recently partnered with ABC7 to help Bay Area drivers plan their commute. Just today, Waze launched its new map editor and at CES, introduced Waze as an in-car app. Watch TWiST here at 1pm PT or check out the show in the TWiST custom Chill room here. Be sure to subscribe to the TWiST audio and video podcasts in iTunes.